The difficulties faced by recent social movements in achieving positive change, despite their tremendous speed and overwhelming size, is a sign that activism as a discipline must embark on a period of paradigmatic reevaluation. Breaking with the enforced consensus that our movements are winning even when it looks like we’re losing — that Occupy, Black Lives Matter, Standing Rock, Charlottesville and the countless protests happening worldwide every day are victories despite never achieving their avowed objectives — is not easy. Challenging the activist orthodoxy as an activist is far more difficult than marching in the streets or sharing rebellious tweets. But the risk of staying silent is too great. Activists must act up to save protest from irrelevance. The ways activists protest today, both online and in the streets, are ineffective and do not result in the transformative social change that we desire. This realisation is liberatory. It frees us to ask the most important question of all: why are our protests failing? An unfortunate consequence of the lack of critical reflection on protest failure is that the few explanations typically given are wholly insufficient. For example, perhaps the most commonly proposed reason for why Occupy failed is that our movement lacked demands. While it may be true that Occupy lacked a single, unified demand across all of our nearly 1,000 encampments worldwide, this theory is false because it does not explain why protests that have had clearly articulated demands also failed. Consider, for example, the global anti-Iraq war march on 15 February 2003. This was the largest synchronised protest in human history. Ten million people worldwide went into the streets with a single demand: “no war!” And yet, a month later, the Iraq war started despite global opposition. The anti-war movement was effectively destroyed. A compelling theory of protest failure would apply equally to Occupy and the global anti-Iraq war march. Therefore, a lack of demands cannot be the true reason. No, there is something deeper going on. To understand why our protests are failing we need to look instead at the story motivating our performance as activists. What script are protesters following when we flood into the streets? When citizens of nominally democratic governments protest in the streets they are performing the foundational myth of democracy: the faith that the people posses ultimate sovereignty over their governments. Here we have in simple terms the core myth that motivates all of contemporary activism: “Governments are instituted among men, deriving their just powers from the consent of the governed,” wrote the American revolutionaries in their Declaration of Independence, justifying insurrection. Or, in the words of the Universal Declaration of Human Rights that was adopted by United Nations general assembly in 1948, “The will of the people shall be the basis of the authority of government”. Our misplaced faith in these statements is the crux of the crisis within activism. Protest has become the dominant way the people demonstrate their collective will. Obviously, if it were true that the authority of our governments derived from the will of the people, and the consent of the governed, than the public manifestation of the people’s dissent — protest — would be an effective strategy for manifesting a sovereign power over our governments. Activists assume that if we get enough citizens into the streets then we, the people, will magically exert a popular authority over elected representatives. It is a beautiful story. But it is no longer true. Contemporary protest is broken because the will of the people is no longer the basis of the authority of government. Put colourfully, the people’s sovereignty is dead and every protest is a hopeless struggle to revive the corpse. It is time to try a different method. When activists start to think in terms of attaining sovereignty, it becomes abundantly clear that if we cannot demonstrate our will through public protest then only two paths remain: we can win wars or we can win elections. Street protests alone won’t achieve the change we need. The authority of government accrues to whomever changes the existing regime militarily or electorally. If activism is to stay relevant, we must apply our techniques of protest, and social movement creation, to either winning wars or winning elections. Neither approach will look the way you expect it. I believe that focusing on winning elections is the correct path strategically and morally. However, I have noticed that whenever I broach the subject of merging protest with electoral politics, most activists quickly assume that I’m advocating a traditional, progressive electoral strategy. Nothing could be further from the truth. Radical activists need not work within the existing party apparatuses. On the contrary, I find inspiration in contemporary hybrid movement-parties like Italy’s Five Star Movement, Spain’s Podemos or Iceland’s Pirate Party. Even in nations dominated by a two-party system, such as the US and arguably Australia, I see opportunities for activists to intervene electorally without giving up their revolutionary edge. I’m emboldened, above all, by the experience of the little-known New Alliance Party whose 1988 candidate, Dr Lenora Fulani, became the first woman to run for president of the United States and get on the ballot in all 50 states. This was an immense organising challenge that required gathering over one million signatures, a feat that the Green party was unable to accomplish in 2016. Dr Fulani and the New Alliance Party were able to pull it off because of their years of community organising in poor communities of colour. When outsider candidates are backed by grassroots movements the impossible becomes possible. What does this all mean, in concrete terms, for today’s activists who dream of instigating significant social change? Very few people have thought about activist electoral strategy as deeply as Jacqueline Salit, a former campaign manager for Dr Fulani’s presidential campaign and an ongoing leader in America’s independent political movement. Salit offers two pieces of advice in a recent strategy briefing for activists. First, she observes that, “the most successful independent parties in recent times have been ‘anti-party’ parties.” In other words, as activists pivot toward winning elections our movements should not imitate the form or content of existing political parties. Instead, we must position our movements as protest parties — anti-party parties — whose ascension will be the death of established parties. Salit’s second piece of advice is most important. Advocating for “cross-ideological partnerships,” Salit urges activists to “put ideology on the back burner and move on to democracy, to unrigging the system.” This post-ideological perspective is perhaps most difficult for activists to accept but it is a strategic necessity of an electoral strategy. 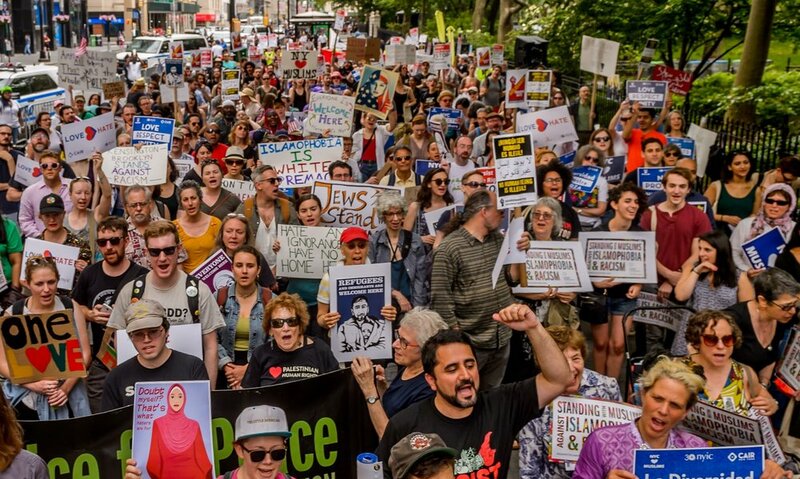 Rather than fully aligning our movements with preexisting political categories, there is strength in poaching from across the left-right political spectrum. Moving forward, as activists we must radically challenge the roots of our discipline and embark on a period of wild tactical experimentation oriented around capturing sovereignty. Let us no longer tolerate those within our movements who stifle collective reflection on our failures. Only a total rethink of protest will lead to the emergence of newly effective methods of revolutionary activism.